Property 13: Peaceful oasis of tropical art & plants close to golf, beaches & shopping. Property 17: Studio Flat to sleep 3 in Barbados. Balcony and views over golf course. 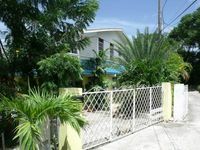 Property 22: 3 Bedroom Townhouse with walking distance of great beaches! Modern luxury condo with seaviews, pool, close to beach. Wi-fi. Great location. Property 28: Modern luxury condo with seaviews, pool, close to beach. Wi-fi. Great location. Cozy Retreat Located At The Idyllic Rockley Golf Resort . Property 38: Cozy Retreat Located At The Idyllic Rockley Golf Resort . Family Friendly, Ground Floor Apartment. Sleeps 2 to 4. Discounted green fees!! Property 44: Family Friendly, Ground Floor Apartment. Sleeps 2 to 4. Discounted green fees!! Modern Central Apt. in Rockley, Ch. Ch. Property 49: Modern Central Apt. in Rockley, Ch. Ch. 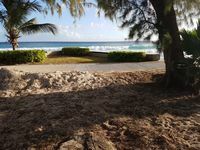 Property 50: Comfortable 1 Bedroom Vacation Rental - Just steps from the tropical beach! Wow! Beautiful home, Gracious Property owners. Apartment next to Rockley Beach. Great value and nothing to complain about.